Even though most topics in business tend to be rather technical and dry, the truth is a business is a lot like a living organism. It’s why many organic terms, such as growth, development, and maturity have found their way into the business vocabulary. 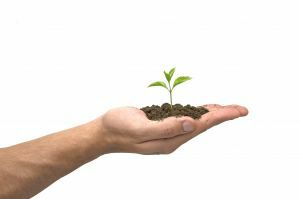 An implicit aspect of the organic business model is that you have to make sure that your business gets what it needs to survive and thrive or else it will just whither away. 1. You’re too focused on short-term gain. At their core, many of the factors below really can be traced back to a lack of long range foresight. Business owners end up eying instant payouts and in the process compromise on their long term gain. Sometimes this happens because the owners are too financially dependent on their business’ performance; other times owners just aren’t considering the long-term ramifications of the decisions (or lack of decisiveness) they are making today. 2. You have no or limited access to outside financing. If you don’t have ready access to funds- whether it’s a line of credit, a business loan, or even a pool of your personal financial resources- then you will have any extremely hard time growing and developing your business. You won’t have the capital needed to cover a cash shortfall and you won’t have the money to invest in necessary equipment, supplies, and even additional workers. 3. You’re not investing enough in your employees. Your employees make your business go round. If your employee satisfaction is at an all-time low, then it will hold your business back in several ways: your employees will be less productive, they’ll be less likely to offer their ideas about how to do things better and they will in general take less initiative on the job; their dissatisfaction will also effectively push customers away. 4. You’re not investing enough in your equipment and furnishings. Your physical assets, such as equipment and furniture, will eventually, become outdated, obsolete, or just plain too old to be put into service. If you don’t make a sufficient effort to revamp or replace those assets that have gone past their prime, then you may be exposing your business to an assortment of added expenses, such as repair costs, down time and lost productivity. 5. You’re not paying enough attention to the competition. There are two main reasons why you will be missing out by not looking at what your competitors are doing: looking at the strengths and weaknesses of these companies and how this is effecting their performance can give you vital information about your target market’s preferences; you can also use the information you get about your competition to help you differentiate your products and services from those of your competitors. 6. You aren’t cultivating customer feedback. If you aren’t actively trying to get your customers to tell you how they are feeling about your business as well as what the overall customer experience is like, then you are missing out on a golden opportunity to improve your business and strengthen customer engagement and loyalty. 7. You aren’t delegating enough. If you want your business to grow then that automatically includes bringing in other people to help you run your operations. These people will take care of the tasks that you have neither the time, interest, nor the expertise to complete. There are several ways to delegate jobs: You can give your current employees more autonomy and input; you can hire additional workers to complete certain roles: you can hire contractual workers for specific jobs. 8. You aren’t reaching out to other businesses and professionals. Similar to the factor mentioned above, if you are not actively perusing a bit of synergy with other business and/ professionals, then you may be missing out on countless, amazing opportunities to expand your reach ( via co-promotion), reduce costs (via group purchasing), and increase your product or service offerings via some strategic partnership. 9. You are not paying enough attention to industry trends. The minute you take your eye off the road, you are susceptible to crashing. If you don’t have your eyes and earns trained on key market and industry trends, then you will be setting yourself up to miss the boat on significant industry shifts and leave a wide opening for competitors to gain valuable market share. 10. You have a negative attitude. Last, but certainly not least, your own attitude can hold your business back big time. It doesn’t matter how talented you are, if you are putting out negative vibes, if you are cynical, argumentative, and unyielding then rest assured your employees and customers will pick up on it and send that same negative energy right back at you. That is most definitely not the kind of environment that will foster your business’ growth and development.